After SHS, moved to Austin (1975-77), Denton (1977-80), Los Angeles (1980-82), Boulder (1982-85), Albuquerque (1985-88), and back to Austin in 1988. 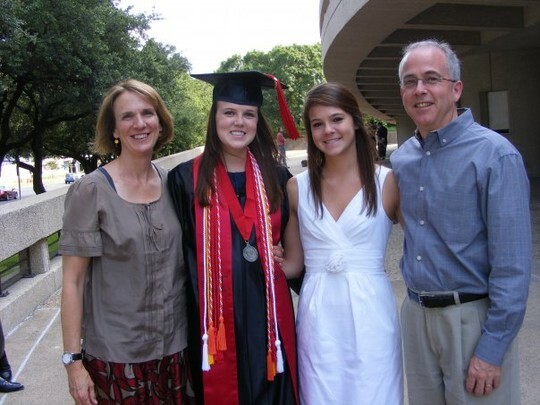 Daughter Kelsey got married in 2012, passed the bar this year, and is living and practicing law in Dallas. Ali is halfway through law school in Houston, and will probably end up living there. I've been a bad influence. Ken Mills has a birthday today. Brita and me (on the right) with daughter Kelsey, her husband Matt, and Matt's parents in Napa in Feb 2013.